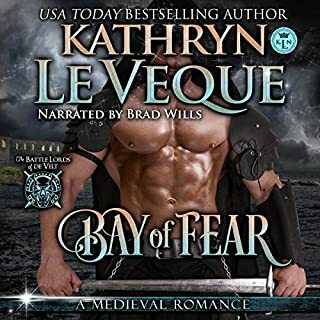 I could not wait for this audio to be over...I have never felt that about a Katherine LeVeque book. She is definitely one of my top five authors. This narrator was awful and ruined the entire listen for me. Terrible female voices...whiny men's voices...terrible whispering narration and just bad experience. 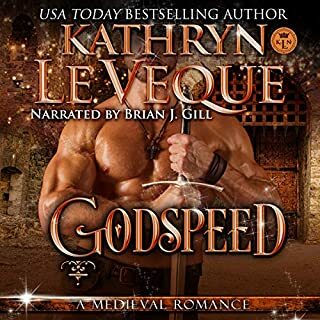 Please Katherine..I don't mean to be unkind to this man, however, please don't use him for your wonderful books again... I'm sorry, however, that was almost painful to listen to. Love you KL...keep those wonderful books coming!! This story is great but the narrator is terrible. He totally changes the meaning and tone of the story with his awkward and boring narration. What did you like best about Tender is the Knight? What did you like least? Disappointment all around. The narrator has a lovely voice but I had to set speed at 1.5 because he read SOOOOO slowly. The heroine was pathetically stupid. I usually love Kathryn's books...Hated heroine. It is funny to that multiple reviews list the narrator as the reason they didn't like the book. While he isn't my favorite of her narrators, I don't think any of them could have made this heroine likeable to me. During the times when men had to leave to fight, you give us a spoiled, weak heroine who is so selfish she can't bear to be alone. She has to put herself in danger so her husband has to save her rather than concentrate on what is important. After getting in trouble multiple times when she didn't listen, she has to be defiant one more time and get herself kidnapped. Strength isn't doing what you want without regard to consequences, this is not a strong heroine. She is a whiny, weak, spoiled princess who throws tantrums when she doesn't get her way. In real life I would bet money she would have died an early death. I listened to The Red Fury first and loved it. I then found the first book of the series and was excited to listen to it. I couldn’t get through the first chapter because the narrator was so bad. I am very disappointed, but am unable to tolerate the voice. The narrator shows no inflection in his voice. The hope of peace came with the death of Dennis’s father. He proposed marriage to a woman from Cornwall to breach the rift long-standing between the clans, beginning a healing process. 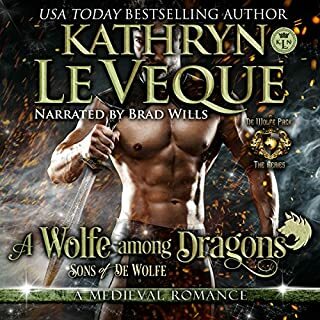 I love Kathryn Le Veque’s stories, but this was ruined by the narrator. He speaks in what he imagines an ‘upper class’ Englishman would sound like and his voice is so ‘airy’ and he drawls together the words so it makes it hard to understand. And I lived in England and am half English, so the problem isn’t me understanding the accent. So sorry you chose this performer, otherwise the story is fantastic. While I loved the story and it is really tender with strong and witty heroine and a kind tender hero …. all the good work the writer did went away with a horrible narrator - you really should re-record the book! 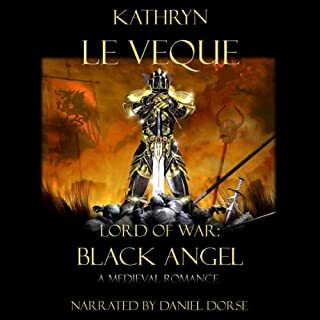 Great story from Kathryn Le Veque and smooth narration by Daniel Dorse. Daniels voice coincides with Dennis d’Vant’s demeanor. 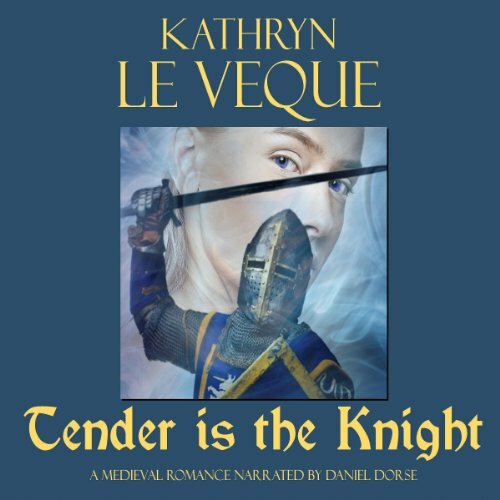 Kathryn Le Veque always does a great job and this is no exception. 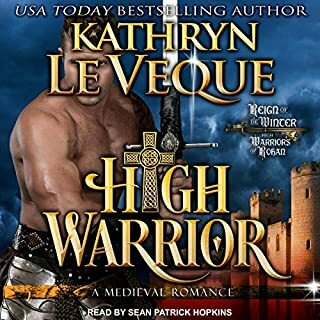 Head-strong ladies and hot knights are always high on my list of preferred reading, and this novel provided both along with excitement and intrigue. Loved it!